About Doctors :: Precious Smile Dental Cosmetic Centre :: Surat :: Gujarat :: India. Besides Photography, music, cosmetic dentistry is also a passion for Dr. Rahul Shah. The hobby have been converted into the profession since last 10 years as Cosmetic dentistry is an art with science. Dr. Rahul has done B.D.S. from Pune University. Cosmetic dentistry that includes treatment of fractured, crooked teeth, teeth whitening, complete smile design etc. Besides General Dentistry he also looks after children dentistry. Dr.Jigna Shah has done B.D.S. , M.D.S. from Gujarat University. She was Gold medalist in B.D.S. in the university. She has the experience of establishing and to run a dental college as she was looking after the first private dental college of Ahmedabad. Dr. Jignawas Professor in the Dept. of Periodontics Sehoradental College. Being a Periodontist she takes care of gum problems, gum surgeries & Dental Implants. Dental Implants is the most advanced dental treatment for replacement of missing tooth/teeth .after her post graduation Shecompleted 160 hours Didactic and clinical training course in Multidisciplinary Contemporary Implant Dentistry . She successfully passed the final written and oral examination in 2007. byDentsplyFriadent Germany ACCREDITED CERTIFICATE COURSE IN FUNDAMENTAL IMPLANTOLOGY.had taken special has taken one year training for dental implants from Nene Institute of Implantology and Dentistry. At Precious Smile one of the world’s best &world wide available Xive Implant surgical system, U.K. is there. 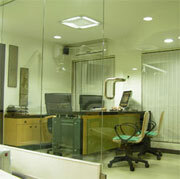 Clinic is developed in 1200Sq.ft of area. Very spacious, full of natural light coming in and nicely developed landscape seen through windows. 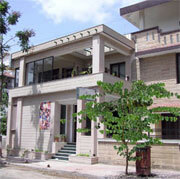 Apart from soothing interior and good ambiance we have stat of the art infrastructure. We have two fully automatic dental unites in our main operatory and one in Surgical room. 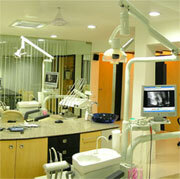 Surgical room is equipped with all operation theater equipment like boils machine, emergency kit to name few. Sterilization and infection control remains on our topmost priority. Implant surgeries also performed in the separate surgical area only. Apart from having full proofsystem, we have kept separate sterilization area. There is a small laboratory area for chair side work also. At Precious Smile , we believe in team work. We have full team of doctors from different specialties in dentistry to deal with specific problems of patients. Visiting faculties are there for Oral surgery, Orthodontics, Oral Pathology , General Anaesthesia, advanced bone surgeries for implants. Dr. Suverna Nene ( B.D.S. )(has done Implantology 4 years university course from France, doing exclusively dental Implant practice since last 15 years) cancell. Dr. Ne ( M.D.S.) is an Oral & Maxillofacial surgeon practicing since 8 years. Dr. Kaizad Billimoria is an Orthodontist practicing since last 15 years. Dr. Jigna is M.D.S. in Periodontics doing exclusive periodontal practice since last 8 years.